Finland: Shooting incident in Turku, Perno – five foreigners arrested……. – The Tundra Tabloids……. Finland: Shooting incident in Turku, Perno – five foreigners arrested……. 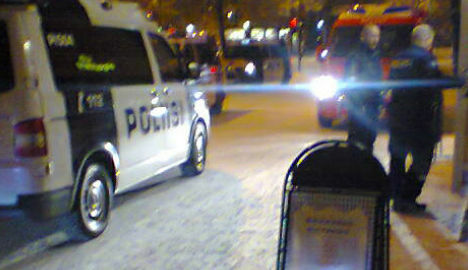 Several Southwest Finland police patrols took part in the operation. Police were informed Wednesday afternoon of the shooting incident in Perno, Turku, on Wednesday evening. Several Southwest Finland police patrols left for the mission. According to the police, when it came to clarifying the matter, it was revealed that firearms were shot during a confrontation between men of foreign background. According to the police, no one has been injured in the situation. During the evening and the night, the police conducted a technical investigation at the scene and home searches to reach the suspects. There are a total of five arrested persons. Previous Post Previous Post Finns Party notices sharp rise in support in new poll, up 2.1%……. Next Post Next Post Dr.Manfred Gerstenfeld: Does Foreign Country Plan To Interfere In Israeli Elections……?